They’ve come a long way from the catalog kit homes that were delivered by railroad across the nation a century ago, but today’s kit houses still have the streamlined appeal of a “house in a box”. 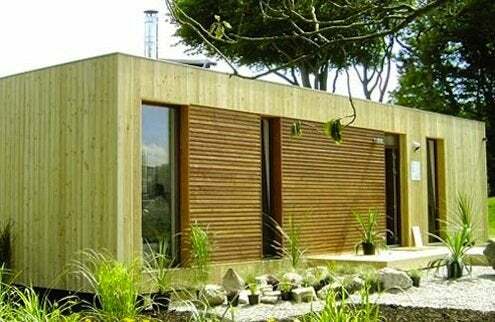 Now most kit homes are delivered by trailer, or sometimes they’re even made of shipping containers, but the idea is the same: These small, simple, lightweight panelized modules are designed to save money and construction hassle and literally, because they don’t require heavy equipment, can go where no home could go before. Many kits with prebuilt and completely finished wall panels slide down onto tracks on elevated platforms; they require very little site work and can be built in a week. Solar and wind technology can free a kit home from the grid, so they can be built in places with infrastructure challenges. And some kits come as modules that are meant to work together, so you only build as much house as you want to pay for. Build one, then add on later as you need more space.